One way or another, it seems the utilities always find a way to get more money. 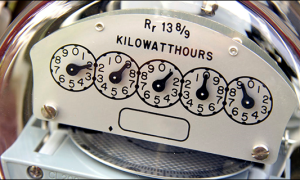 They are prohibited from raising rates on electricity without jumping through some hoops, but they do not hesitate making up new line items or enhancing others to get more money from consumers. We are aware that ComEd has added a “customer charge” of either $9.06 for an apartment/condo resident or $22.36 for a single family home. This effects all residents and all electric providers as this is a charge from the “delivery” side of the billing. It is my understanding that different electricity providers (Integrys, Spark Energy, etc.) have reflected this charge in different ways, but whatever it is called and however it shows up on your bill, it is still just another charge being passed on from ComEd. While some may agree – nay most of us very likely agree it has become a little ridiculous that ComEd just adds charges whenever they like (even though they have to get approved by the Illinois Commerce Commission), we unfortunately have to confirm that it was approved and it is indeed a legit charge.